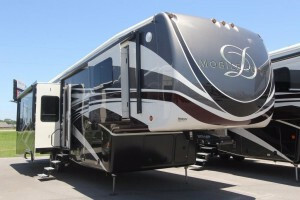 What puts an RV on the list: The amount of luxury that any fifth wheel provides is phenomenal. However, we’ve selected the top ones by considering whether or not they have a good rating and reviews among users, good insulation and even ones with lots of upgradability for those who may want to upgrade their rig later down the line. 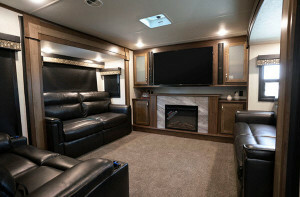 Why we recommend the DRV Luxury Suites Mobile Suites fifth wheel: If one would be hunting for the luxurious among the luxurious, DRV Luxury Suites is where the search ends. 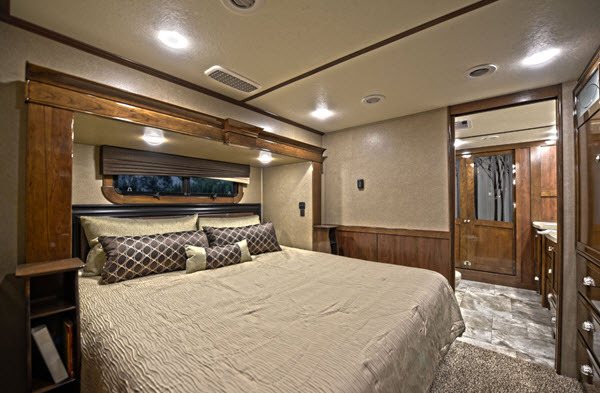 The Mobile Suites fifth wheel camper provides a variety of features and, of course, a very solid insulation system and construction. 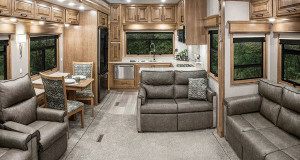 Being a fifth wheel it’s quite roomy, with the smallest floorplan being the Mobile Suites 32 RS3 at 32 feet. 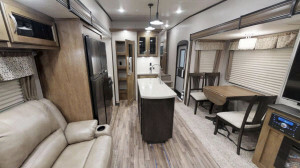 This goes all the way up to the 44 feet Mobile Suites 44 Santa Fe floorplan. 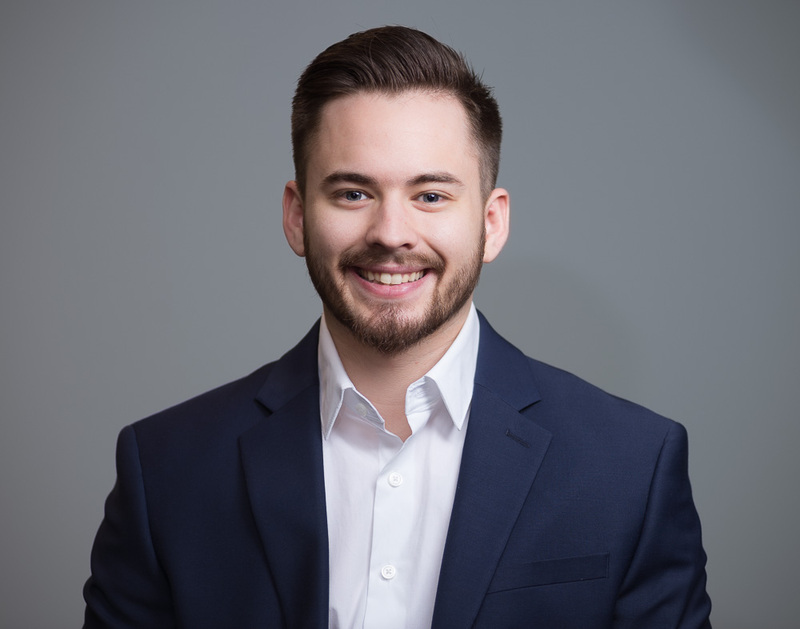 As far as insulation goes, you really shouldn’t have a problem using it in any of the colder areas in the country such as Alaska or even here in Michigan where we’re based. It’s got R-15 insulation on the walls, which is actually beyond the recommended range as per the standards put forth by the Department of Energy. This is more or less the same with the roof and the floor construction. You also have an option to take this a step further by getting upgrades such as a heat pump and CSA certification if the plan is to travel to the Great White North. 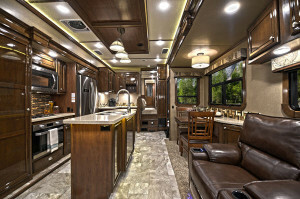 View All Redwood Redwood RV Redwood Fifth Wheel Floorplans! 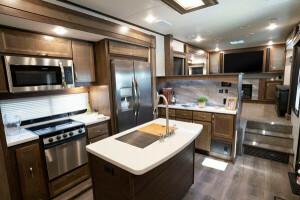 Why we recommend Redwood RV Redwood fifth wheel: The only RV from the company since its inception, the Redwood fifth wheel from Redwood RV has seen a lot of upgrades over the years. 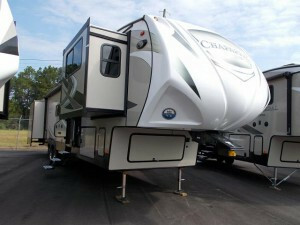 It has not only secured a 5 star on our website, but also on many other RV review websites as well. There are a plethora of floorplans to choose from. The models that we prefer are the Redwood 3991RD and the Redwood 399RD for the increased space. In relation to insulation, the redwood features dual layers of batten fiberglass construction on the floor with R-14 rating, which should hold just fine when combined with R-9 insulation on sidewalls and total of R-21 insulation value on the front and rear caps. 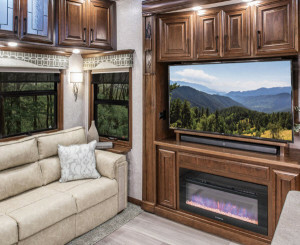 As with the Mobile Suites, you also have the option of dual pane windows, holding tank heating pads and other features to keep yourself warm this winter. 22 different floor plans available! 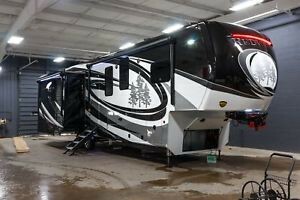 Why we recommend the Coachmen Chaparral fifth wheel: The Chaparral is listed on many of our other top 5 lists, and that proves it to be more than just a greatinsulated fifth wheel camper. Some of its dry weights actually start with a few hundred pounds shy of 10,000 lbs, making it useful for those who are concerned about their towing vehicle. 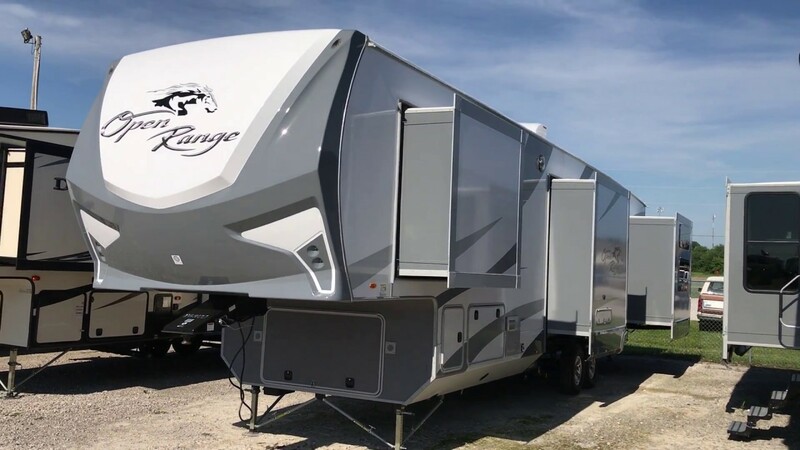 If towing won’t be a problem, the Chaparral 370FL and the Chaparral 392MBL are great choices as they offer a lot of added benefits for the heavier GVWR. Construction and insulation well incorporated into the build, even if the Chaparral isn’t actually advertised as one of the insulated fifth wheel campers on the market. There isn’t an R-rating provided on our spec sheet, but Chaparral guarantees survival of this camper in extreme cold (up to 0F) or extreme hot (up to 110F). Looking at the forums and user reviews its clear that they’ve actually lived up to the claim and you’ll have no issues camping in the bitter cold with this rig! 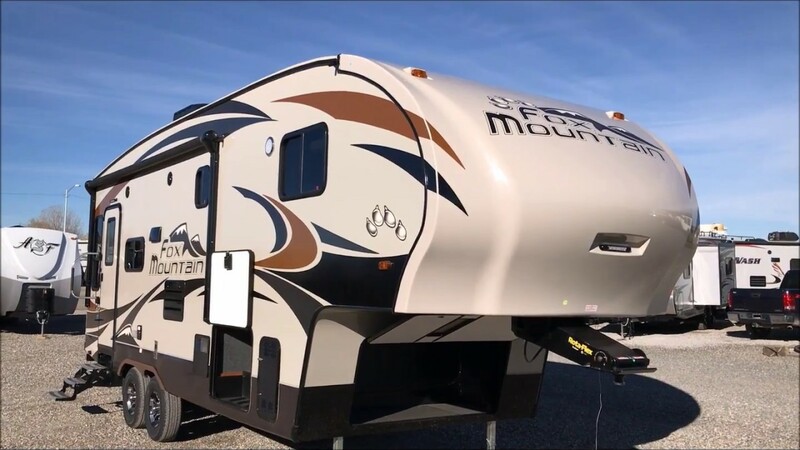 Why we recommend the Northwood Fox Mountain fifth wheel: If anything makes Northwood RVs popular, it’s the sheer amount of insulated and weather resistant campers they make. 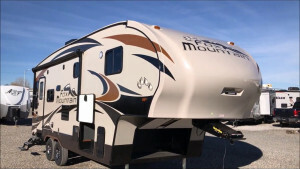 The Fox Mountain is one such travel trailer, offering features and a wide range of options on top of what we expect to be a decently insulated fifth wheel camper at this point. We recommend the following floorplans: Fox Mountain 235RLS and Fox Mountain 255RKS. View All Highland Ridge Open Range Travel Trailer Floorplans! 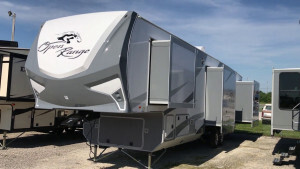 Why we recommend Highland Ridge Open Range fifth wheel: Since its built as a four seasons RV, the Open Range fifth wheel by Highland Ridge has our attention, but more so due to the sheer amount of floorplans that it features. They’re somewhat light at ~10,000 lbs dry weight, which is great for anyone who doesn’t want to get too much into the specifics of towing. 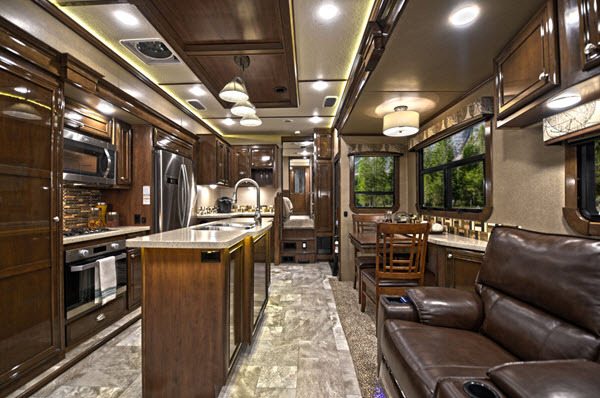 We suggest taking a look at the Open Range OF314RLS and the Open Range OF373RBS floorplans. 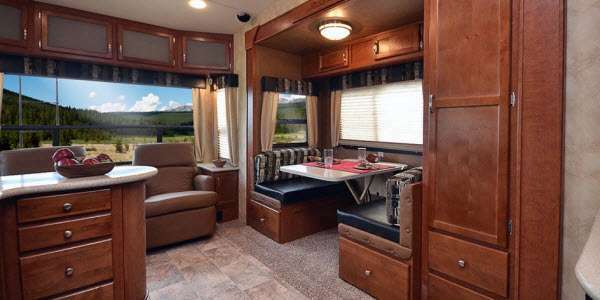 There’s an entire section dedicated to the optional features that makes this rig a ‘four seasons camper’. 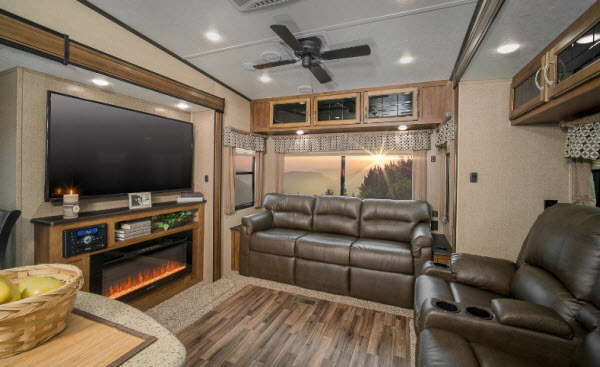 It holds true, since R-38 insulation on the ceiling and the floor and R-9 insulation on the sidewalls is beyond what you’ll need to camp in any state in the US during winter. You could add dual pane windows along with the extreme weather package for use in Canada. But even without these, the fifth wheel will do just fine. 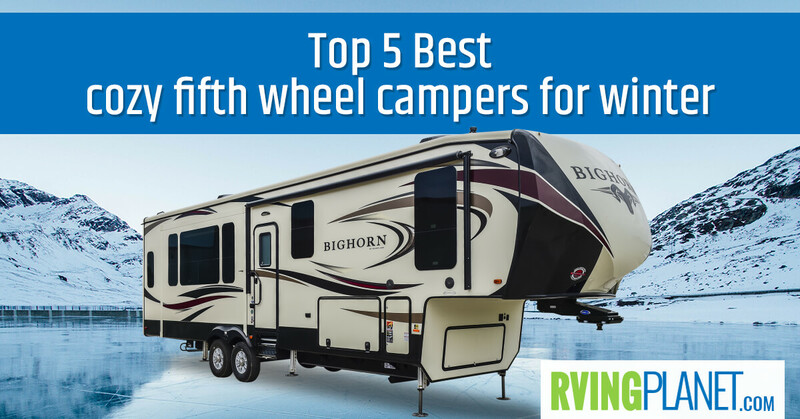 While camping throughout the winter season, keep yourself warm and enjoy the cold weather in your new fifth wheel (hopefully one of these top 5)! Share with us your favorite cozy fifth wheel campers for winter in the comments below!